PBIS (Positive Behavior Interventions and Support) is a process in which schools create a social-culture that will encourage positive behaviors and interactions, while discouraging problem behaviors. This social-culture will lead to a safe environment where our children and youth achieve academically and build positive relationships with each other and with adults. Each school sets 3 to 5 behavioral expectations for all students, staff and settings that will apply to that school, although it is hoped that these expectations will be reinforced in the family setting and in the community. These expectations are then taught so that everyone knows what those expectations look like. Everyone is then reminded to use those behaviors within the correct settings. They are acknowledged, in many varying ways, for using those behaviors and are corrected, positively, when they aren’t followed. In some instances additional supports are provided to encourage and/or teach the correct positive behavior. Building a strong, caring partnership takes time and effort. Many families want to help their child succeed but don’t know how to approach the schools and vice versa. School staff are often afraid to ask for a parents help. The easiest way to promote better communication is to create an area of neutrality. This may be a place where all parties can feel comfortable to discuss what they feel or it can be someone that acts as a liaison between the school and the family, that both are comfortable with. This is why it is recommended that each PBIS team has at least one family representative. Family involvement is a process. It requires time and effort by all parties involved and it must be realized that each party has their own visions and diversities. Only through cooperation can family involvement flourish. Families/Parents/Caregivers are important parts in creating a successful program. 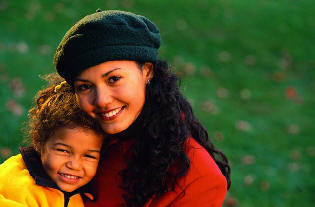 Caregivers' involvement is essential for the child’s success. Family involvement can be as simple as learning the schools expectations and reminding your children about them each day and showing them how it applies to your family and community. It can mean making sure your children are safe, loved and fed each morning before going to school. It can mean finding assistance in helping your child finish and understand their homework. Or it can be volunteering in the school nurse’s office. Family involvement need not be complicated. Parents know their children better than anyone, PBIS uses that to the children’s benefit. 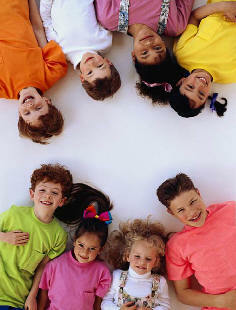 Parents work with the teachers and staff to create a safe and supportive environment from school to home to community.